Despite many shortcomings I have been blessed with naturally long eyelashes … and I love to wear dark eyeliner and loads of black mascara. Day, night, weekend …. it’s very rare my eyes aren’t done up. 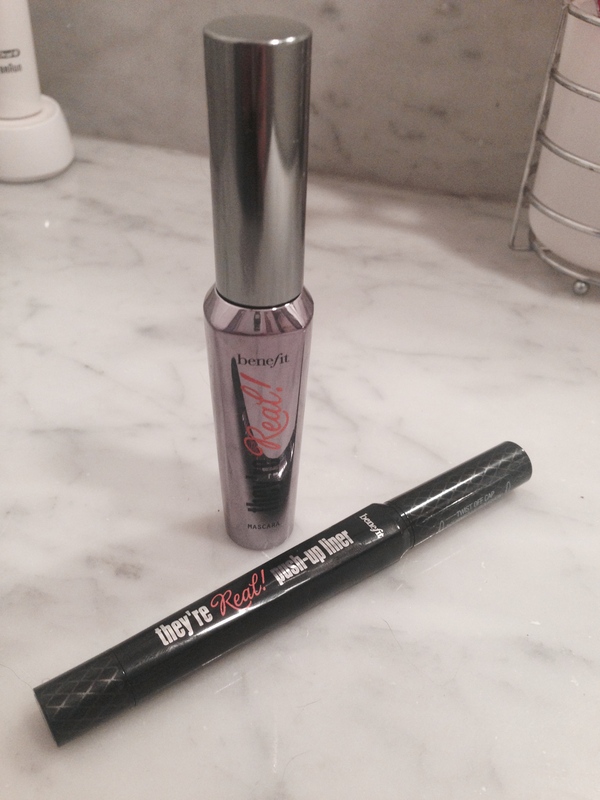 So when Benefit had a display in Sephora with their new liner “they’re real push-up liner” I was not going to leave the store without it …. 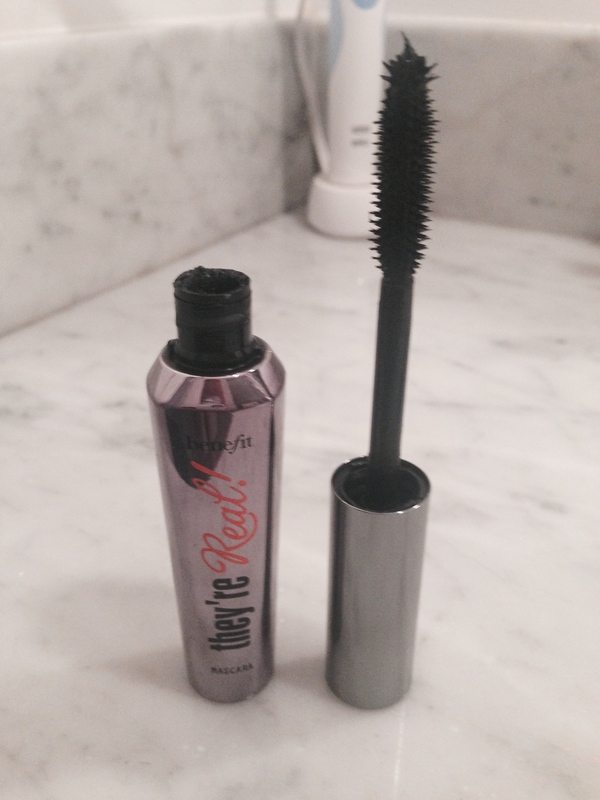 and the matching mascara because hey — why not?! I’m having a blast playing with this liner. It takes a bit of time to get used to it because a little really does go a long way, so you want to be very careful and not twist up too much of the gel. The gel goes on evenly and great! The product is super smooth and such a rich and dark black liner. It lasts all day — it’s even on after being stuck in the middle of a rain storm riding my bicycle into the wind. 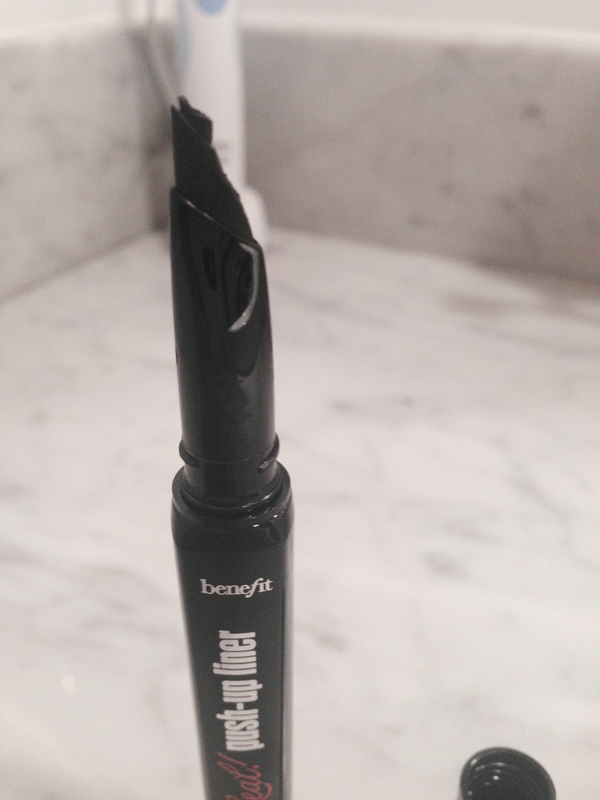 If you love playing up your eyes, and dark liner this is worth the price (it’s a bit pricy). You will give up your liquid liner pens and never look back!!! This entry was posted in Beauty and tagged beauty, benefit, cosmetics, eye liner, eyelashes, eyes, gel liner, lashes, liner, Liquid Liner, make up, makeup by maldham. Bookmark the permalink. Looks good. Where is the pic of you wearing it?